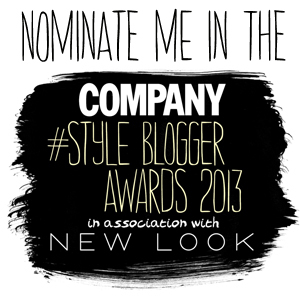 Fashion Obscura: Company Style Blogger Awards! So its been just over three months since Fashion Obscura came to life however in that short period of time I have come to love mixing my interests of fashion and photography together, and from it I have gained much success from the likes of Vogue publications! Most importantly I have enjoyed sharing my style with you, and your positive comments and support have inspired me even more! One of the biggest inspirations behind my blog is the leading publication "Company Magazine" which is famous for its distinct quirky, fun and nouvelle image. In fact I've even had the Editor of Company Magazine compliment my hair (check it out here)! 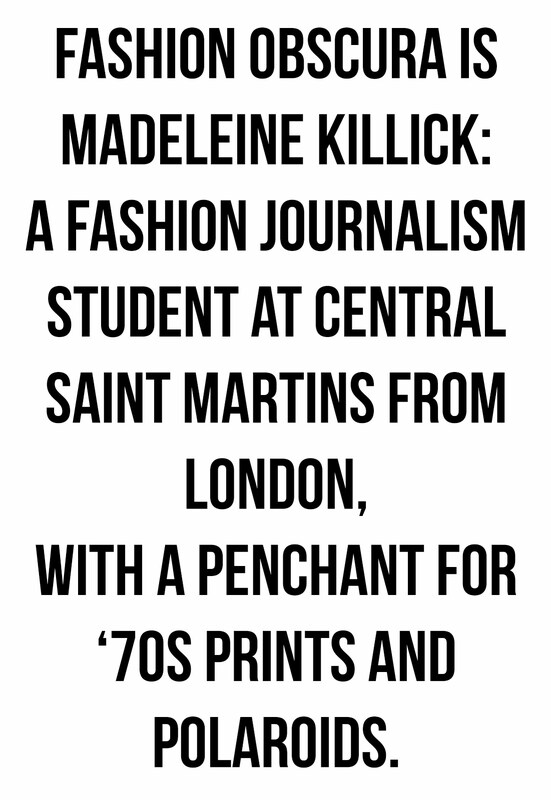 What I love most about Company Magazine is the way in which it supports all sorts of blogs including new comers like moi! Starting my blog is one of the best decisions of my life, and it has enhanced my love of fashion, photography and style even more! Your support and positive comments are my sole inspiration so it would mean a lot for you to vote for me! So if you want more of Fashion Obscura then VOTE! Even though there are thousands of other competing (yet equally fantastic) blogs, your vote would mean a lot to me! So if you want to share the love and nominate me, vote HERE! PS: New blog posts coming soon!